Yesterday Universal and Netflix sent the whole internet into a frenzy with news that the awesome franchise Stranger Things was set to return to HHN. It was no big secret within the industry and concept artwork did leak 24 hours prior but the scale of the positive vibes from this announcement was surely mind blowing! And what with all the traffic and excitement looking at the video and press releases there was a very quiet detail that was slipped in that we wanted to highlight as it’s very interesting! That detail is that the mazes currently under construction at both Orlando and Hollywood will be based on both seasons 2 and the unreleased season 3 (note: season 3 is to be released on Netflix on July 4th). 1. Stranger Things has been renewed for a fourth season (dates of which are unknown). So the news that Universal is working with Netflix to build a maze this year on a season that hasn’t been released yet is very good news. That means in theory that the partnership between both companies is VERY strong. Giving an outside company like Universal access to your content before it is released shows that Netflix is really happy with this partnership! 2. 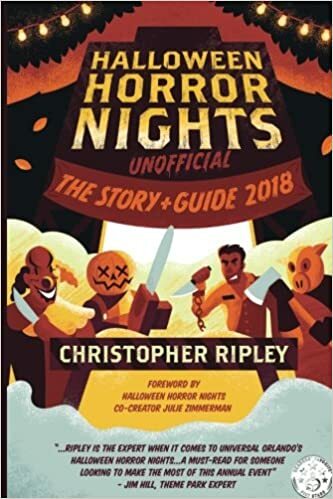 It might also be said that if season 4’s shooting schedule doesn’t line up or for some reason Universal doesn’t make a third Stranger Things maze it could be because next year in 2020 is HHN’s 30th year: HHN30. So could the event be another anniversary type event where old houses are resurrected under one central theme just like we saw at HHN25, HHN20, HHN16 etc? Just spent the weekend watching the @netflix doc on Flat Earthers. I’m now convinced I’m flat. So when you consider these tweets, the strong partnership with Netflix and the alleged squeezing of using other IPs from the likes of Fox (now Disney) and Warner Bros it would seem that the partnership between Netflix and Universal is to be the most fruitful. This being said it would indicate to me that The Haunting of Hill House must now surely be on the cards for HHN29 or even HHN30!? Noting also that one of the production companies behind this series is Steven Spielberg’s Amblin who have been longtime partners with Universal! So there you have it. What do you think? Could we be onto something? Let us know your thoughts in the comments! Remember nothing is confirmed until Universal officially confirms it! For many years now our beloved event HHN has been a global phenomenon that has attracted millions and millions of people through the gates of Orlando, Hollywood, Spain (yes Spain! ), Japan and Singapore to experience this world-class Halloween event. But normal people fReAkS like you and I aren’t the only ones that have been flocking to these events but also celebrities have been too. From members of Marvel’s Avengers to rock n’ roll royalty have all been delighting in the horrah. What HHN fans might not realize is that many of these celebs are actually super fans of HHN and are often spotted year after year attending the event. So for today’s article we thought we’d look into which celebs are actual Super Secret HHN fReAkS!! This native floridian and mega pop sensation has been visiting our Orlando event since she was a kid, and although she now resides in the City of Angels (where she has been visiting Hollywood’s event in the last couple of years too! ), she always takes time out of her busy schedule to visit her home state and enjoy some east coast scares. And as you can see below, she visits very regularly! The current face regular cover model for Vogue is an internationally renowned model but what many don’t know about her is that she adores Universal Orlando and HHN. 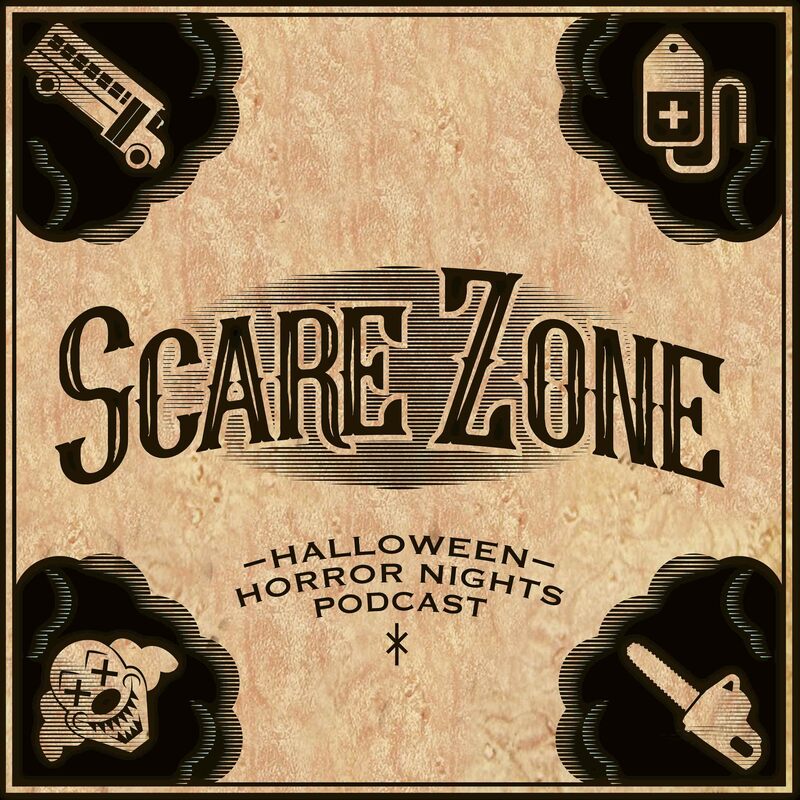 The coolest of cool Hollywood actor has done what many HHN fReAkS have aspired to become because he is not only a super fan but he has also been an actual scareactor! I’m told that he has appeared twice as a scareactor but in researching this article I could only find information on his appearance in Hollywood’s The Shining maze. I seem to remember that he possible appeared in the This is the End maze but does anyone know? As with Penn and Teller, Blum holds the title of working with Universal to develop a number of mazes. From my notes I can see how he personally has been attending the Hollywood event for over a decade. The man, the myth, the legend, has been visiting HHN in Hollywood for years. He has helped design mazes and last year he helped score a maze! The Universal Monsters Maze was widely haled as one of the best mazes Hollywood has ever built. Interesting although she’s the only Avenger on this list she isn’t the only Avenger to attend HHN. This Avenger or Guardian of the Galaxy has a special mention as she has visited the event without fail every year for more than a decade. She loves the horrah and apparently she is also super nice should you bump into her during the event. So there you have it, the biggest HHN Super Fans! Let us know in the comments which celebs you think should be on this list and who you’ve spotted at HHN! Last year’s Halloween Horror Nights 28 was a incredible event and I was fortunate enough to get two of my wish-list intellectual properties (IPs) included in that event. Those two IPs were “Poltergeist” and “Killer Klowns from Outer Space.” Furthermore, if the rumors this year are true then “Killer Klowns from Outer Space” will be returning to the event. Since, Warner Bros is now hosting their own Halloween themed event, Universal has had a hard time securing some big name IPs. This got me thinking about what IPs could Universal easily use for one of their HHNs. While compiling my new wish-list, I took three factors into account: 1) Universal must have distribution rights to the movie, 2) the film or series should be 80’s based to fit into the possible continued theme from last years event and 3) the source material could come from Stephen King, since he does not like to license out this properties. Please keep in mind that this is just a wish-list. If any of these houses are actually apart of this year’s lineup, then it was just pure luck on my behalf. Honestly, I would love to have the original film as an Horror Nights house, but Universal only released the high budget 1987 sequel. Lucky for everyone the film series uses the continuous theme of the evil undertaker, referred to as the Tall Man going town to town and killing off the population. This film series is know for its special effects involving flying killer spheres. The Tall Man character is incredibly intimidating and could be used for some great scares. Not to mention, the haunting soundtrack and creepy visuals that director Don Coscarelli created would make for a legendary haunted house. It would go without saying, but a, “Phantasm” house would have a lot of balls! Either choice gives Universal plenty of material to make the maze memorable. If Universal chooses the adult version of Bates then they can simply recreate all famous scenes for the movie, like Norman attacking with a knife from behind the shower curtain or the discovery of Ms. Bates’s decaying body in the basement. However, if Universal chooses the younger version of Norman then they may be able to do something more creative with the maze. I for one can see a maze that is designed around young Norman’s troubled mind. The further you go into this maze, the further you lose the ability to tell what is real and what is a construct of the mind. Thus, showing you the horrors of the victims and the killer himself. 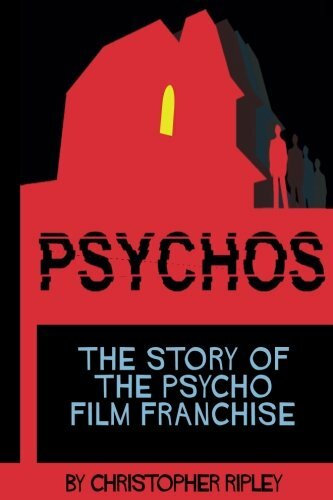 As for the possible continued theme, “Psycho II” and “Psycho III” were both based in the late 80’s. 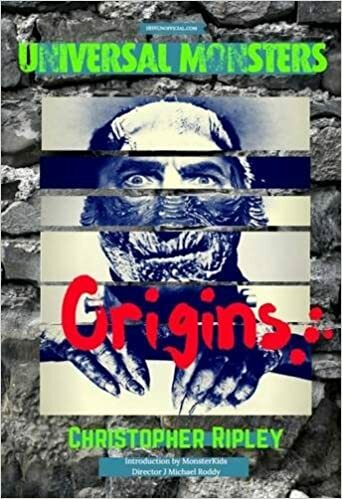 In 1988, horror maestro Wes Craven gave the world “The Serpent and the Rainbow.” This film centers around Haiti’s voodoo culture and how zombies are created. The film features black magic, zombies, people being buried alive and brutal torture, all of which could be used to make one memorable HHN house. There are two particular scenes in this film that could be used to make you scream for your life. The first would be the scene where the main character meets the skeleton bride and a huge boa constrictor jumps out of her mouth. The final scene would involve the incredibly brutal torture scene where the main character is strapped to chair and a nail is hammered into his private parts. It goes without saying, but this is a haunted house that all HHN fans have been asking for over the years. The films features many memorable gory scenes that could be used to make any year’s HHN more edgy, something that old school HHN fans have been asking for the last two years. Please Universal gives us this house! This house would have everyone shouting “Long Live the New Flesh” and they are transported to the digital mind control realm of “Videodrome.” The film is about a secret government organization using pirate video broadcasts to brainwash viewer into becoming assassins. Like many other David Cronenberg films this too uses outrageously grotesque imagery of body mutations. This IP could be used to make a house full of scenes that you would not be able to forget. First, lets discuss the film’s distribution. Although most believe it is a property of 20th Century Fox, the movie was actually distributed in the United States by Universal Pictures. So, this give me ability to add this film to the list. After seeing HHN 28’s visually stunning house “Scary Tales: Deadly Ever After” I would love to see what Universal’s creative team could do with “Legend.” I feel that Universal would be to hit a home run with the visuals provided in this film by director Ripley Scott. Not to mention, what an incredibly awesome and intimidating lead villain that Darkness is in this film. If you have not seen this film, please do. Tim Curry’s performance as Darkness is one of his best and rates up their next to Pennywise in “IT.” You could go as far as to say that Mr. Curry puts the Tim in intimidation with his outstanding performance. “The Funhouse” makes my list due to two things. First, it is directed by Tobe Hooper, a horror legend. Secondly, the movie takes place at a carnival, a setting that Universal’s creative team loves to use. Just last year we got “Carnival Graveyard” so, this IP could be used as sequel to that house. Also, everyone’s favorite icon Jack’s origin story revolves around a traveling killer carnival. This one just seems like a no brainier for Universal to use if they are in need of an IP. While compiling this wish-list, I tried my best to create a set of IPs that would please anyone. That being said there were four intellectual properties that barely missed making the final list. These four IPs missed by such a close margin, I felt that I had to let everyone know their names. Those four IPs are as follows: 1)They Live, 2) Ghost Story, 3) Cat People and 4) Prince of Darkness. So, what do you think of this wish-list? What Universal owned IPs would you use on your list? The earliest house announcement we’ve ever had is in the last week of March (2017) though technically we had a house announcement at the very end of HHN19 but that was a long time ago! Anyways, mark your calendars now and let’s hope we get an official announcement soon! Let us know when you’ll think the next announcement will be and keep your eyes peeled for more info on #HHN29! Co-Created by former HHN Orlando and Universal Studios Artist Seth Wolfson the experience is expected to blur the lines between haunted house and escape room but taking this new 60 minute team adventure to new heights! Evil Dead 2: Dead by Dawn Escape Room will see players enter into the infamous cabin in the woods to find the Kandarian Dagger and destroy the Book of the Dead before the evil dead swallow their souls. Currently under construction in Seattle, the experience is set to open later this year. Fans of the cult horror classic can expect to be encountered by Deadites, deadly chainsaws, a very strange deer head, a chained-up cellar door (chained up for good reason! ), and plenty of weird and gruesome surprises. Unfortunately, the attraction is located in Seattle and no news has been received that the attraction will tour, but Wolfson isn’t deterred as apparently people are already promising to attend the experience from all over the world. Doesn’t this sound awesome! Will you be travelling up to experience it? Let us know in the comments! It’s with sad news we can confirm the rumors of whether the new Disney deal with Fox will in fact affect HHN from a tweet that was sent a few days ago by HHN Hollywood’s Creative Lead John Murdy. For those that don’t know, and there can’t surely be many of you, the deal we’re mentioning is the agreement of where many of the Twentieth Century Fox assets are to be purchased by Disney and assimilated into their ever growing current business. The deal includes nearly all broadcasting rights, contracts and deals for television and film with mostly news outlets and newspapers being excluded. It’s not known exactly when the deal with finalize but it is expected to complete this year giving Disney the controlling powers over virtually all of Fox’s former properties. We’ve never had a house where either of these properties has been allowed to explore their own respective franchises and the best we ever came was a “vs” house back in 2014. A rad choice from the 90s and it featured at a previous edition of HHN but strictly in Hollywood (it was also an awesome house read the walkthrough here). With a reboot of the franchise expected soon this could be annoying and what about the Body Collectors (or Gentlemen)!? No more Body Collectors??? This was recently rumored in 2018 but never saw the light of day. Both the original and the beloved 80s version with Jeff Goldblum could sadly be off the table. This property has apparently nearly been made a few times, it’s a shame we might never see it realized. Some of the 70s British horror movies were released under the Fox banner. Most of them featured Christopher Lee as Dracula being pursued by Peter Cushing in various guises. This long rumored property has apparently got a very complicated legal ownership where Fox has some say over various parts of the franchise. Damian won’t likely be rising anytime soon. Orlando has done a show based on this a few times and it’s sad it might never come back. We just need to take a step to the left and then a step to the riiiiiiiight. HHN has done similar houses to this with original content. Lucky they did it already! Forget any chances of a Treehouse of Horror house now. We’ve surely had enough zombies houses for this millennium! We’ve had similar houses over the years which were likely better anyway. It’s been unofficially at the event with The Spawning in 2009 and at various Bill and Ted shows. I reviewed the final creative for the final maze yesterday. Construction has begun. Our bi-coastal Dark Arts project has been revealed! And for the foreseeable future, I’m splitting my weeks between two teams.. UO Entertainment and Universal Creative. So there you have it. A number of IPs that may or may not ever come to HHN but if the Murdy tweet is to be believed it would appear these properties aren’t likely to come to HHN anytime soon. Thanks Mickey! So there you have it, let us know your thoughts in the comments! And remember, nothing is confirmed until Universal confirms it!